Poll: What will Farley run for Breaking3? Pace the Nation host and Pacers owner Chris Farley has run under three hours for the marathon for 18* straight years, but number 19 is in jeopardy after strong headwinds in the last few miles of the Philadelphia Marathon slowed him down to 3:01:04. While some would chide him for waiting until nearly the end of the year to make his attempt, this is neither here nor there. He will attempt to save his streak at 10 a.m., Friday, Dec. 29 in East Potomac Park. 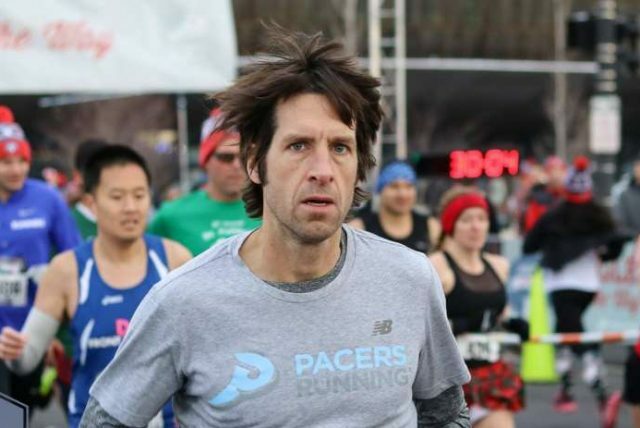 Breaking3, an adaptation of the two-hour marathon attempt inside a Nike commercial, will feature pace setters honed in on the 6:50-per-mile pace necessary to bring Farley through 26.2 miles with a little breathing room. Watch the attempt on Pace the Nation’s Facebook live broadcast, starting at 10 a.m. Dec. 29. The pace group will travel counter-clockwise on Ohio Drive and Buckeye Drive. Roads will remain open with traffic traveling clockwise.